Belgium may be a little country — too small for some tourists to find on a map — but it's one of Europe's great secrets. While its capital, Brussels, has become overly international, the port city to the north — Antwerp — has more of a local identity. It's an honest, what-you-see-is-what-you-get place, perhaps because it's in the Dutch-speaking part of Belgium called Flanders. This city of about 500,000 offers visitors an eclectic array of sightseeing — and it's easy to navigate since most locals speak English. If you have just one day (or less), you'll need to be selective, choosing between art, churches, history, fashion, and so on. Just arriving can be a thrill. 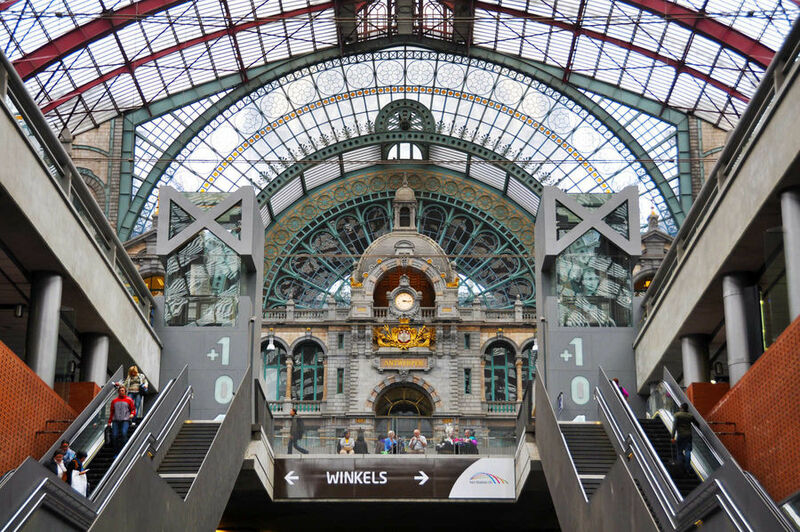 I can't think of a city with a more visit-worthy train station than Antwerp. The building stands like a temple to the Industrial Age. Built at the turn of the 20th century, it's giddy with steel and glass — such as its arrival hall with a triumphal arch crowned by a grand clock. Imagine the age: Just a generation earlier, people thought you might die if you traveled at more than 30 miles per hour. For those living in the brave new world of steam engines, journeys that previously took days could be done in hours. Of course, today's trains can be five times faster; that's why the Belgians tunneled under the old station so that bullet trains can zip in and out with only a quick stop. Stepping out of the station, you'll find some modern buildings, the result of Hitler's rocket attacks during World War II — more V-2s fell on Antwerp than on London. Fortunately, most of the Old Town survived. 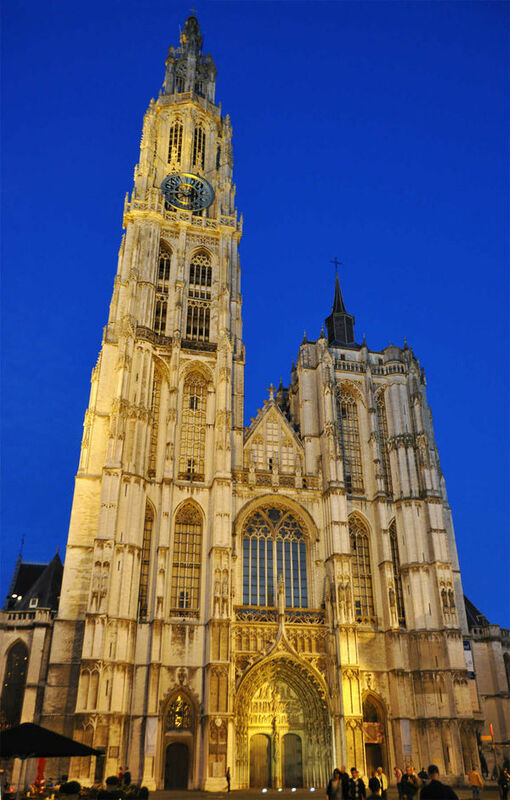 As it has for centuries, the Cathedral of Our Lady dominates the city center; its 400-foot-tall spire is the highest in the Low Countries. The interior is packed with fine artwork, including four paintings by local-boy-made-good Peter Paul Rubens. Next door, the Grote Markt, Antwerp's main square, is dominated by the looming tower of the cathedral at one end and the stately City Hall at the other. On a facade dating from Antwerp's Golden Age (16th century), the City Hall flies flags from dozens of countries — representing the importance of international trade to the city. One of the city's top sights is the Rubens House. This former home of artist Peter Paul Rubens does a fine job of introducing visitors both to the artist’s works — several of which are displayed here — and to his lifestyle. 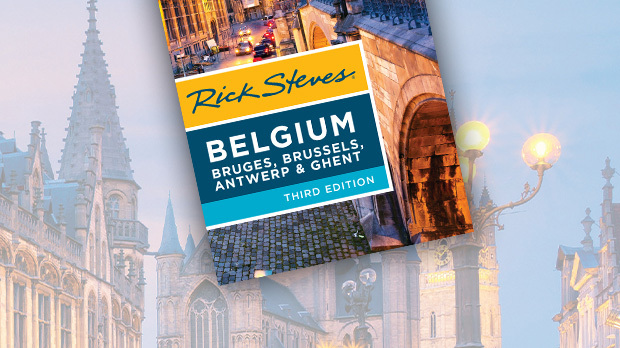 There are other places in Antwerp to see Rubens' paintings, but this exhibit offers you a chance to also learn about how he lived and the methods he employed — interesting even to people who think Peter Paul Rubens is the guy who plays Pee-wee Herman. Another type of house is found in Antwerp's Red Light District, which is north of the Old Town and near the port. This is Belgium's biggest hub of legalized prostitution and one of the most business-like I've seen in Europe. About four city blocks are pedestrianized and feel almost like a shopping mall. I did notice that, while Antwerp has a slick red-light neighborhood, it has almost no sleaze elsewhere in town. In a sense, they cleaned the city up by sweeping it all into a small pile. This area is not as sketchy as it might seem — the mayor actually encourages visitors to stroll here — but it's also not entirely safe either; it's best to visit during the day. The nearby Museum aan de Stroom, or "MAS" for short, is housed in a 210-foot-tall mod tower, encased in hand-cut red stone, and speckled with silver hands (the symbol of Antwerp). Designed to resemble the spiraling stacks of goods in an old warehouse, its maritime, ethnographic, and folklore collections confirm Antwerp's reputation as a crossroads for the world. Take the bank of escalators to the top for a free, stunning view of the city. Fashionistas love window-shopping in the Sint-Andries district south of the Old Town. Antwerp’s status as a fashion mecca is a relatively recent development. In 1988, six students from the Royal Academy of Fine Arts' fashion department traveled to a London show, where they got a lot of attention. Each one opened a shop in Sint-Andries, and now it’s one of Europe’s top fashion zones. As you explore, you'll discover that many streets have their own personalities. For example, Schuttershofstraat and Hopland are where you'll find famous-label international couture, while Kammenstraat is better for trendy, retro-hipster fashions. If funky urbanity is your thing, Antwerp is one of Europe’s most intriguing cities. Compared to stodgy, bureaucratic Brussels, Antwerp's colorful persona respects its storied past even as it embraces its bright future.